An underground fire has been smoldering underground at the Bridgeton Landfill for almost two and half years. Updated 1:02 p.m. May 10 to reflect missing data has now been posted. 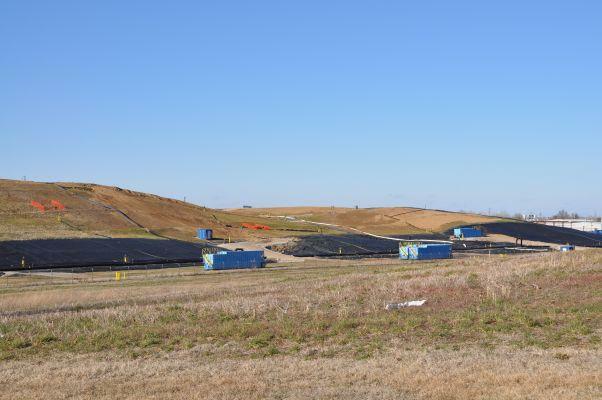 The Missouri Department of Natural Resources has released more air sampling results for the Bridgeton Landfill. According to a written summary on the DNR's website, the Missouri Department of Health & Senior Services analyzed the data collected from mid-March through April 23 and found unhealthy levels of sulfur dioxide at two sites near the landfill. The state says people nearby could have experienced eye, nose and throat irritation or a cough, but that levels were not high enough to cause more serious effects. Ed Smith of the Missouri Coalition for the Environment says the DNR needs to do more than just post air sampling results on its website. The DNR began sampling for toxic emissions at the landfill in February. It has posted most of the results, but data from the last two weeks of March are missing. That’s the same period when those unhealthy levels of sulfur dioxide were measured. (Update: as of the afternoon of May 10, the DNR has posted the additional data from those two weeks). The state recently intensified its air sampling efforts at the landfill to include daily measurements of benzene and hydrogen sulfide. The DNR has repeatedly refused our requests to discuss the data. Today, the spokesperson for the agency, Renee Bungart, referred us instead to the Missouri Attorney General’s Office. Attorney General Chris Koster sued the owner of the Bridgeton Landfill, Republic Services, in late March, alleging numerous environmental violations. Koster’s press secretary, Nanci Gonder, said in an e-mail today that she would follow up with technical experts at DNR to get answers to our questions about the air sampling data. When asked whether she could confirm that the Attorney General would be announcing a settlement agreement with Republic Services next Tuesday, Gonder said her office was “tentatively planning a news conference” for that date. Waste has been burning underground at the Bridgeton Landfill since late 2010, releasing toxic fumes and producing a foul odor that area residents say they can sometimes smell several miles away. The company that owns the Bridgeton Landfill is offering to cover the cost of hotel stays for nearby residents who want to get away from the smell. On Tuesday, Republic Services sent a letter to 270 households within a one-mile radius of the landfill, saying the company would pay for residents to move to a pet-friendly hotel between May 20 and June 14. The company that owns the Bridgeton Landfill is gearing up for the next phase of an effort to control an underground fire that has been burning at the site for more than two years. Starting on Monday, Republic Services will begin excavating sections of the landfill to remove underground concrete pipes. There's A Burning Problem At The Bridgeton Landfill - It Stinks But Is It Unsafe? Things have been heating up at the Bridgeton Landfill, a few miles west of the St. Louis airport. Whether you call it an underground fire, a smoldering event, or just a chemical reaction, it’s causing temperatures inside the landfill to reach well over 200 degrees. And as St. Louis Public Radio’s Véronique LaCapra reports, area residents are worried about the potentially noxious fumes — and what could happen if the fire spreads. Missouri's Attorney General Chris Koster has filed a lawsuit in response to the ongoing concerns surrounding the Bridgeton Landfill. Updated on Friday, March 22 at 9:45 a.m. to add information about air sampling results, and a statement from Republic Services. The Missouri Department of Resources is asking the state’s attorney general to enforce environmental laws at the Bridgeton Sanitary Landfill. DNR’s letter asks Missouri Attorney General Chris Koster to "institute appropriate legal action to resolve any past, present or future environmental violations" at the landfill.